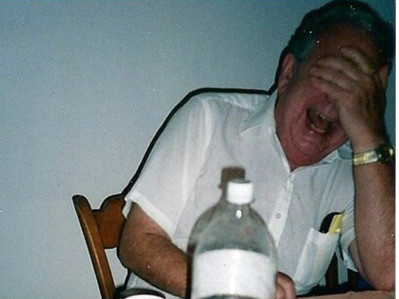 My grandpa caught in one of his huge belly laughs. Is there anyone in the world who doesn't love a good old fashioned Wendy's Frosty? (Especially when you dip your French fries into it?) Well, I am definitely completely enamored of the Frosty and always have been. They make me think of my grandfather, who I was very close with growing up (and sadly passed away last August at the age of 90). We would sometimes finish these jaunts with a trip to Wendy's, where we would enjoy fries and a cold Frosty. I can just hear my grandpa's voice exclaiming over how much he loved his Frosty! 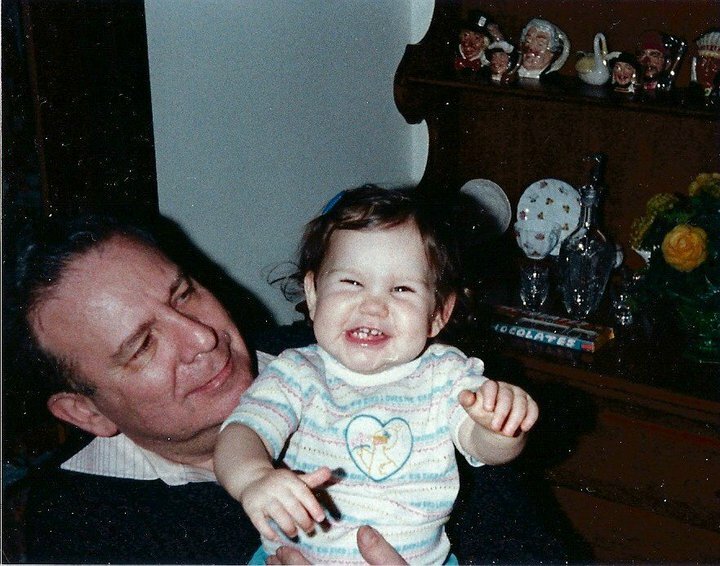 Enjoying some time with my grandpa back in the 80's. My grandpa's 92nd birthday would have been last weekend, and I can think of no better way to celebrate him than with a deliciously cold Frosty. If you want to enjoy a delicious Frosty of your very own, you should head to Wendy's now. 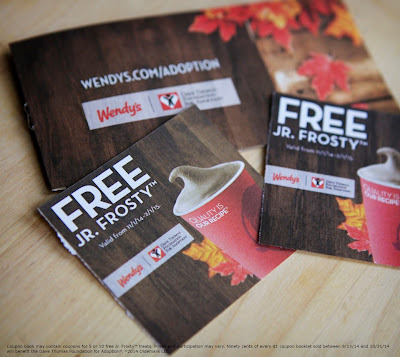 You can purchase a Wendy’s® Halloween Coupon Book for $1 at participating Wendy’s to support foster care adoption. 90 cents of every $1 Halloween Coupon Book sold between September 13 and October 31, 2014 will benefit the Dave Thomas Foundation for Adoption®. Coupons are valid for use from November 1, 2014 through February 1, 2015. And this year, Wendy’s® aims to give $10 million to The Dave Thomas Foundation for Adoption®. Visit your local Wendy’s® to purchase a Jr. Frosty™ Halloween Coupon Book* for $1, which benefits the Dave Thomas Foundation for Adoption)®!